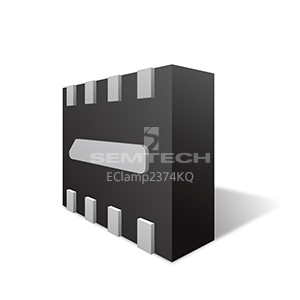 The EClamp®2374KQ is a low pass filter array with integrated TVS diodes. 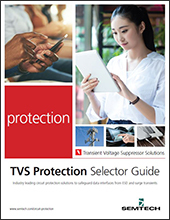 It is designed to suppress unwanted EMI/RFI signals and provide electrostatic discharge (ESD) protection for Automotive grade electronics. SLP1713P8 - 1.7 x 1.3 x 0.50 mm, 3,000 pcs, Tape and Reel. EClamp2374KQTCT - Pb-Free, Halogen Free, RoHS/WEEE compliant.